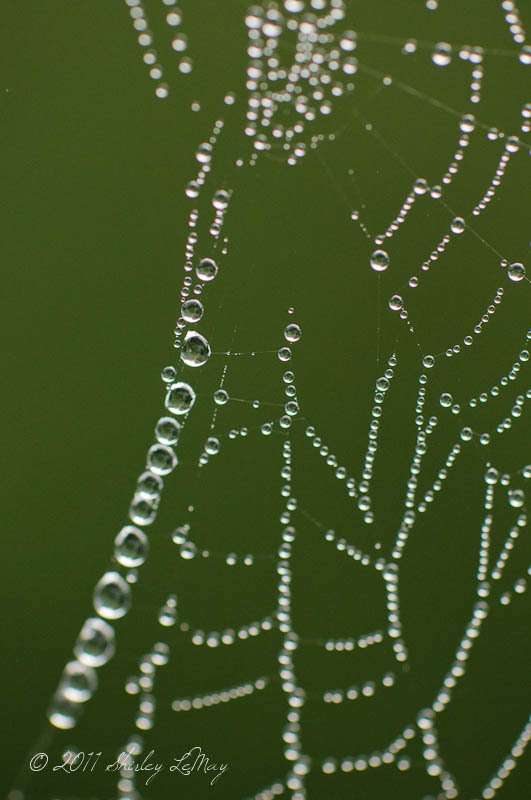 It was another foggy morning, so I was prepared with a macro lens as I ventured outside in search of glistening spider webs. I didn't have to go far - apparently there are lots of spiders hanging around our house! 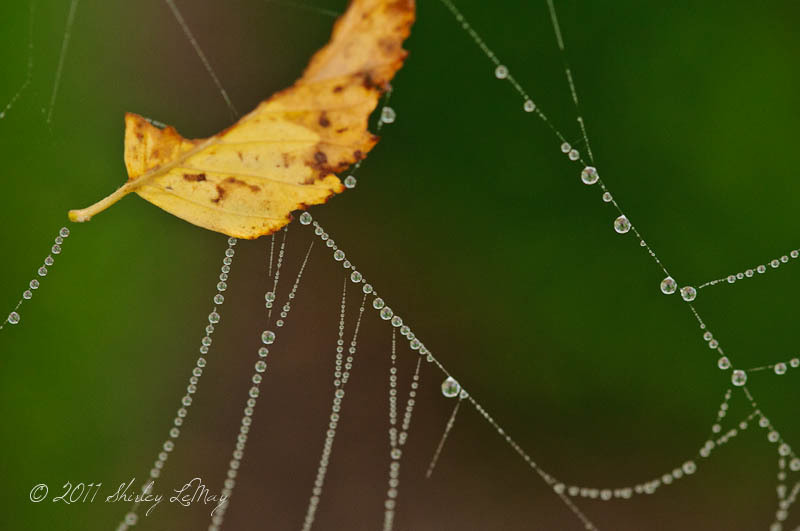 It's amazing how the water drops form on the thinnest strand of silk, almost in a pattern. Beads that form like a string of pearls. For us to enjoy and marvel at. I'm linked up to This and That Thursday, a new photo link up over at Deb Duty's. I visit her blog on a regular basis. Those are absolutely beautiful! I can't wait to show them to my little guy. He loves checking out spider webs. Great shots! Absolutely stunning pictures. 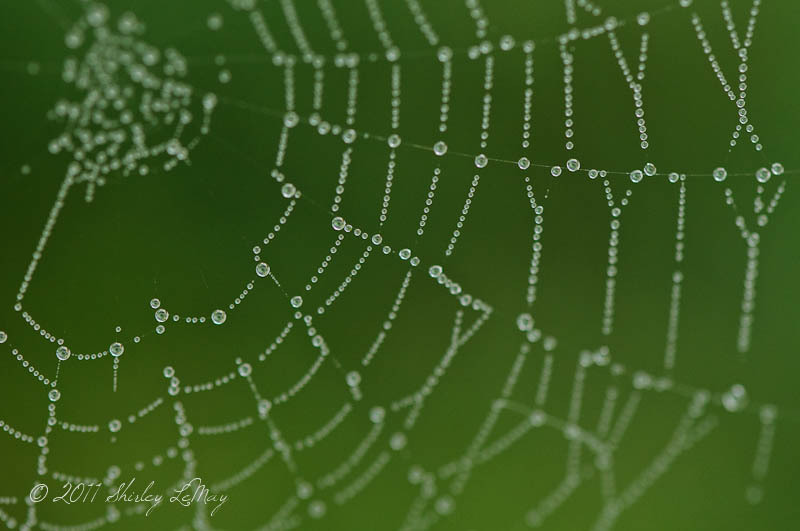 Those spider webs are exquisite but the drops make them so much more. Wow.. Shirley, these are stunning! The beads look like glass and I love the blurred green background! And that's so neat that one of the webs caught a falling leaf. 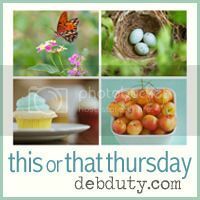 Really amazing images and I'm so glad you linked up today to this or that thursday! These are stunning!! 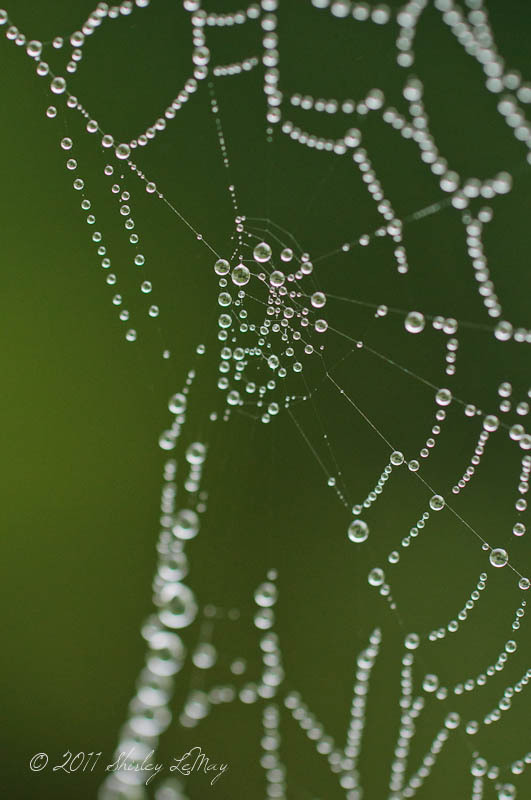 You put my spiderweb pics I took Monday to shame! Loving it - it looks amazing the way you captured them.